Room 3 is one of the larger suites we have, with a Super King Bed that can be split into 2 single beds if required. Room 3 is one of our larger double rooms, boasting fantastic views across the main lawn and Utkinton Hills. This room also has a double sofa bed for children under 16, allowing older children to stay with parents. With bright bold colours and period features, this room has a touch of modern elegance. 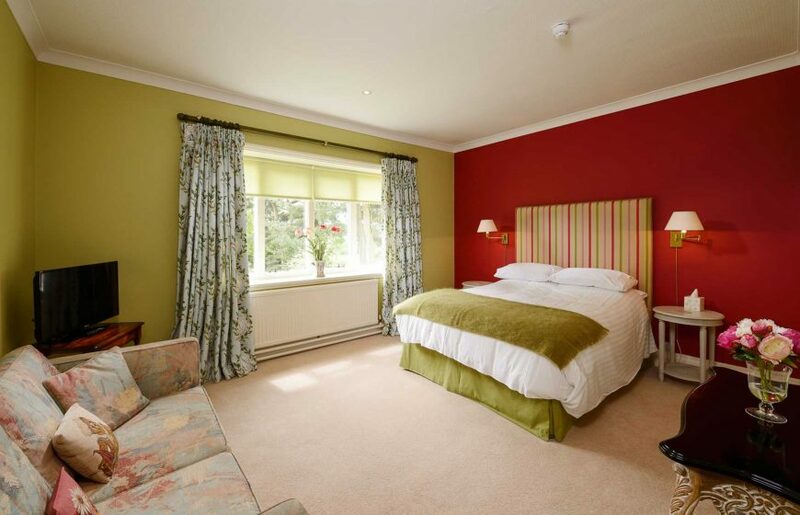 Room 2 is one of our larger double rooms, with views out onto the main lawn and woodland area.